Welcome to trueNorth. 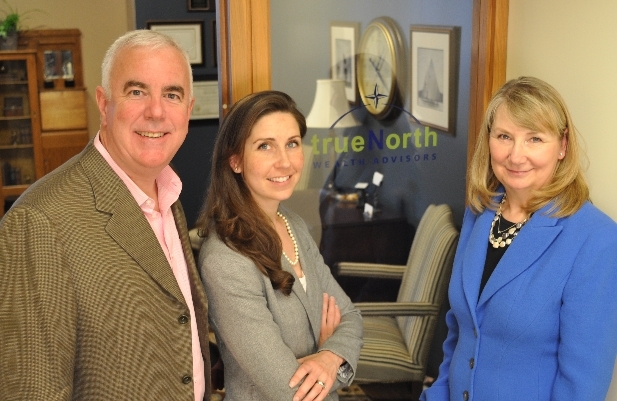 Our goal is to be your financial partner, and to help you align your financial decisions and resources with your values and the life goals that are most important to you – your personal trueNorth. We’re a good fit for people who are serious about developing a comprehensive financial plan, and who desire professional management of their investment portfolio. We are a fee-only firm -- that’s fundamental. We don’t think it makes sense for someone to trust their financial decisions with an advisor who is subject to the conflicts of interest that commissions or referral fees can generate. We have developed a financial planning process that is collaborative, detailed, and systematic. People commonly come to us feeling tremendous uncertainty about their financial future; by the time they’ve worked with us through the financial planning process, they have a better understanding of exactly what needs to be done and more importantly, understand why. As investment advisors, we take on the management of our clients’ nest eggs. Our portfolio management process is as disciplined as our planning process, and provides the same benefits: peace of mind, clarity in the face of uncertainty, and a strategy designed to get each client where they, in particular, want to go. As a team of Certified Financial Planner™ professionals, we’re strongly positioned to extend the benefits of a team approach as well as the independence and objectivity of an advisor-owned firm. We are located in the heart of downtown Seattle and work primarily with clients in Washington State.